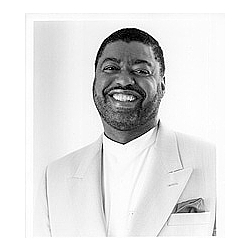 Ron Kenoly (born December 6, 1944 in Coffeyville, Kansas) is an American Christian worship leader, singer, and songwriter whose expressed mission is "to create an environment for the manifest presence of God". His musical style is one of jubilant praise and individual excellence on musical instruments. Although Ron himself only plays on one of his recordings, he leads comfortably with his voice and is always backed up by a team of world class musicians and a large choir. He holds several degrees, including a music degree from Alameda College, a Master of Divinity from Faith Bible College, and a Doctorate of Ministry in Sacred Music from Friends International Christian University. His music career began following time spent in the United States Air Force. He was originally with a group called Shades of Difference, but family issues caused him to leave the group. His critical success came in 1992 when Lift Him Up became the fastest selling worship album to that point. Welcome Home was also critically acclaimed, becoming Billboard's "Top Indie Contemporary Christian music album", and winning a Gospel Music Association Dove Award for "Praise and Worship Album" in 1997. He was signed to Integrity Music, but is no longer recording for them. He began working in full time ministry in 1985. He started out as a worship leader at Jubilee Christian Center in San Jose, California. Not long after that, in 1987, he was ordained and installed as Music Pastor. As worship leader, his sole focus was leading worship service. When he became Music Pastor, he became the shepherd over the entire music department at Jubilee Christian Center. In 1993, after the success of 2 Integrity recordings, he started receiving invitations from all over the nation and all over the world. Churches not only wanted him to come lead praise and worship, but also to help them develop their music departments. So shortly afterwards, he was named Ambassador of Music at Jubilee Christian Center. He was sent out from the church as an ambassador to the world to help churches develop and find the balance between worship and the Word. 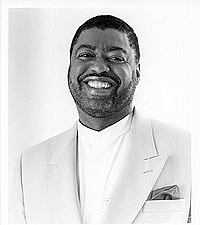 In 1996, he received his Doctorate in Ministry of Sacred Music. In 1999, he felt the call to move from California to the East Coast. So, he relocated the ministry to Central Florida where he continues to travel, speak, sing and teach and record. He sings over all the world. Subscribe to Ron Kenoly RSS Feed to get latest lyrics and news updates. What do you think about Ron Kenoly? Let us know in the comments below!